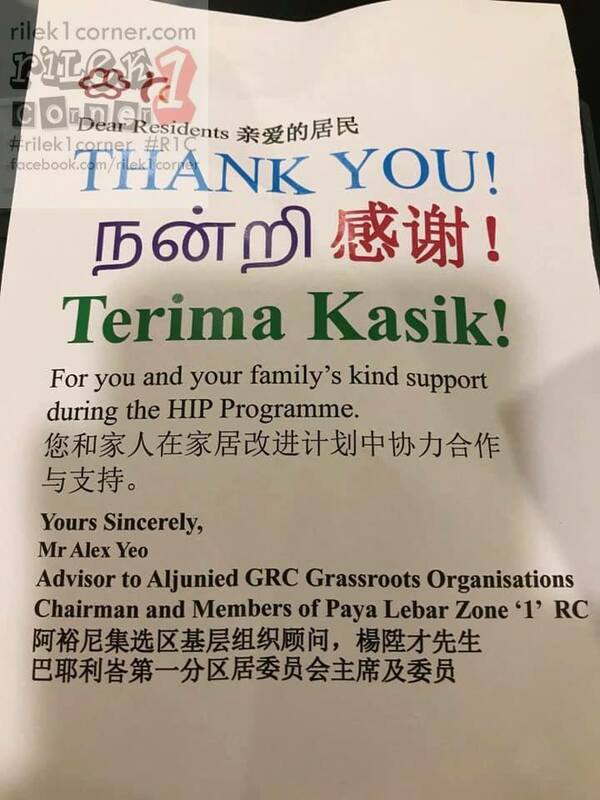 Yet another People’s Action Party (PAP) representative at Aljunied GRC has misspelled a word in one of Singapore’s four languages in the flyers they distributed to residents at the Workers’ Party-held Aljunied GRC. This time, the PAP member misspelled an extremely common word from Singapore’s national language, Malay. Just one week ago, another PAP representative was forced to apologise after brochures he left at homes in Aljunied GRC bore grossly mispelled words that turned Tamil into gibberish. 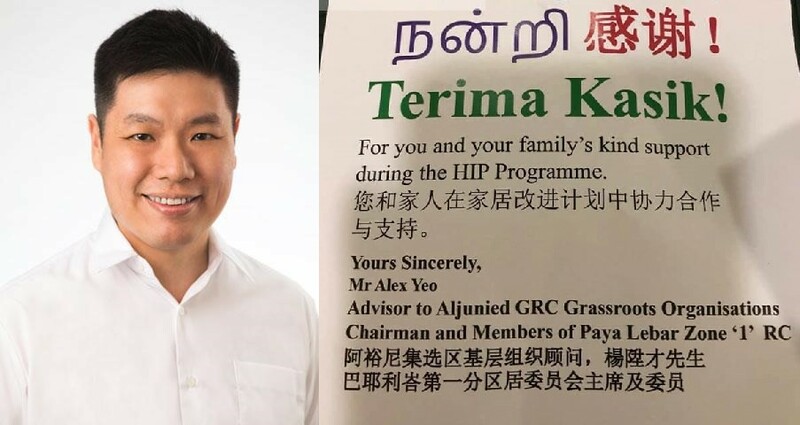 This week, one Facebook page highlighted that Alex Yeo Sheng Chye, one of PAP’s representatives in the ward butchered the word ‘Kasih’ in ‘Terima Kasih’ – which means ‘Thank You’ in Malay – and turned it into ‘Kasik’. Alex Yeo is one of five non elected PAP representatives/branch chairmen in the opposition-held ward. Unlike three of his colleagues, Alex Yeo is a relatively new entrant to the ward and did not face off against the WP parliamentarians in the 2015 General Election. The flyer, that bore the spelling error, thanked residents for their support during the Home Improvement Programme (HIP) that recently concluded in the constituency. HIP is an upgrading programme under the Housing Development Board (HDB) that offers lessees a choice on the works they want to be included in the upgrading of their flats and helps lessees deal with common maintenance problems in ageing flats.